Annie’s Burger Shack has moved from being a small pop-up resturant at the Navigation Pub on Wilford Street to rather nice space in The Lace Market at 5 Broadway. The new place is a world away from that pub, I spent a good six years in Chicago and New Jersey and this place inside really took me back with that authentic feeling of an upscale American bar restaurant. I read in the Nottingham Post that Annie describes the 130 seat diner as “New England meets Old England”. There is some subtle Americana on the walls, some licence plates from Rhode Island (the state from where Anmarie Spaziano originates), a couple of baseball bats and the such like, nothing too in your face. When we used to visit the old Annie’s in the Navigation (read more here) we often had to wait quite a while, in fact once we had about 16 of us and we were fed in two shifts. I now know that was because there was only room in that kitchen to cook about 8 burgers at once. Reading some of the press articles this week I hear that the new kitchen is much bigger and that they can push out the burgers much much quicker. Good news, and when we visited this Friday that was the case indeed, we ordered the burgers and our beers and about 15 minutes later they were at our tables, we were only half way through our first pints. Yes I think that they are going to be able to work much better in this place. So what did we order this time around? 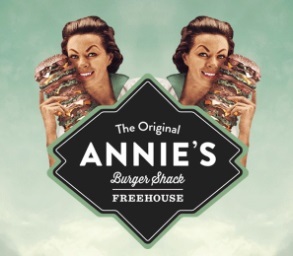 Well I have had a fair amount of the burgers off the menu at the old place and I was happy to see that they are still available at the New Annie’s together with a few new ones. I was a little bit torn on what to choose (I always am) and before we decided on the ones described in a moment I flirted with the thought of getting “The Big Breakfast” which is a burger topped with ‘a square Scottish sausage patty, a thick bacon slice, a local free range fried egg and grilled mushrooms’ or “The Jamie Blackmore” which is a burger topped with an ‘8 hour slow cooked BBQ’d pulled pork, and melted Red Leicester cheese‘. The only thing that stopped me ordering either was the fear of egg yolk and meat juice spillage. In the end we chose the following, firstly “The Reggie Burger” for £11.50 which was a burger from Annie’s that we had not tried before. In common with the other burgers from the burger shack family it was huge. 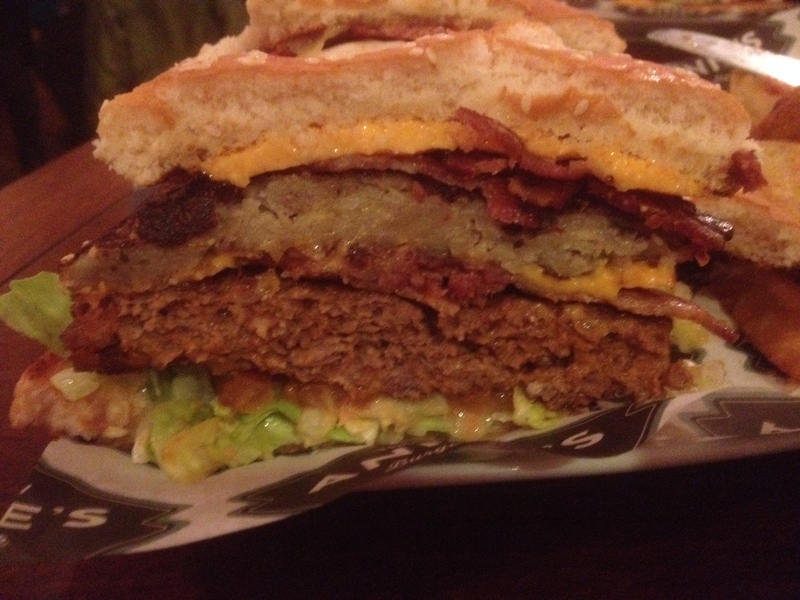 It was built from two freshly made burgers, a hash brown, crispy American style bacon, and Molten cheese, plus some salad all nestling between a soft sesame burger bun. I really liked the taste of this sandwich, I wasn’t over fussed with the hash brown but it did add a little softness to the bite which contrasted with the crunchy bacon and the crisp salad. For the second choice of burger I had to continue the theme of trying something new and I opted for “The Broadway Burger” (formerly known as The Navigation Burger) for £11.90 It should really be named “Massive Meat Feast burger” as it is a huge pile of meat in a bun although the menu describes it as ‘A burger layered with Scottish sausage patty, grilled chicken breast, a thick slice of bacon, and melted American style Cheddar cheese’. I ordered mine with a side of salted potato wedges which turned out to be about the equivalent of two large baked potatoes cut into huge chunks. 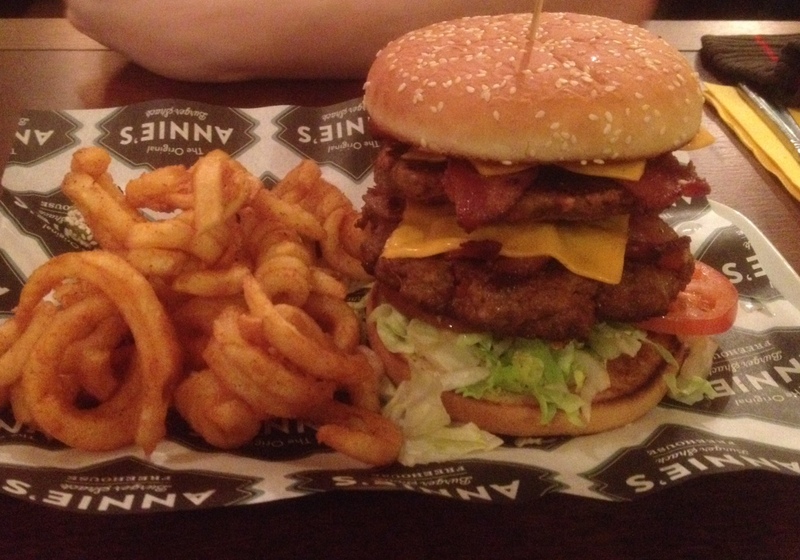 If you look at the picture and think the side looks a bit small, well please don’t be fooled, it looks like that just because the burger it sits next to is so massive. All I have left to say about the burgers is that as always they are truly excellent, way too big, but it is worth the expanding girth just to eat here every so often. Just don’t expect to be able to move very fast or eat anything else for a while after you have satisfied your Burger needs here. What else do I need to tell you about? 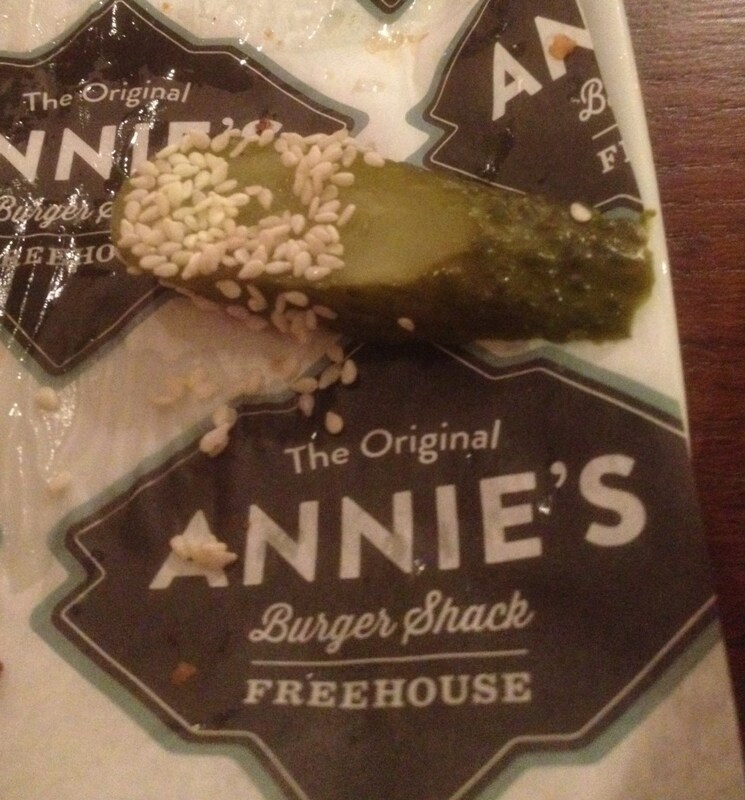 Well for those that went to the Old Annies, that signature sesame seed dipped pickle slice is still there, only now instead of sitting neglected and unloved on my wooden board it remained unloved with no names on its dance card lying on my paper sheet. I love the pickle really but to be honest it is like getting ‘one more wafer’ in that Monty Python sketch, there simply was no more room after the mammoth burger fest. I also wanted to note that a couple of months ago I was asked to contribute to a set of articles in the Olive Magazine called “The best £10, £20, £30 you’ll ever spend” (Feb edition 2014). This is a feature on places to eat in Nottingham in that price bracket, the brief had been somewhere you could get 2 courses and a drink for that price. 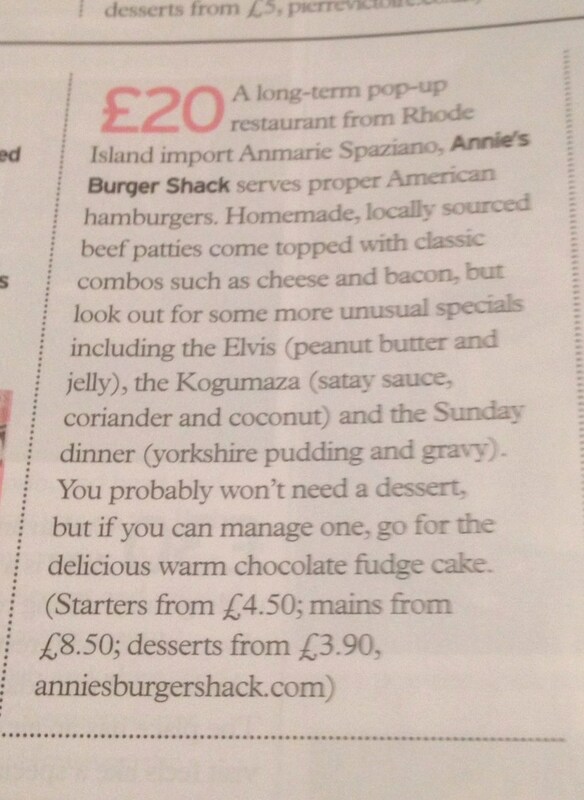 I had selected Annie’s Burger Shack in my £20 section and really had gone out on a bit of a limb as at the time it was a pop-up in the Navigation Pub and had to check that fitted into the brief. Now I am so glad that it was accepted as the New Annie’s Burger Shack Freehouse in the Lace Market fits the bill and the brief perfectly. We had two burgers and two pints of good real ale for just over £30. If we could have managed to force down a pudding of some sort then it would still have been under £40 for two. 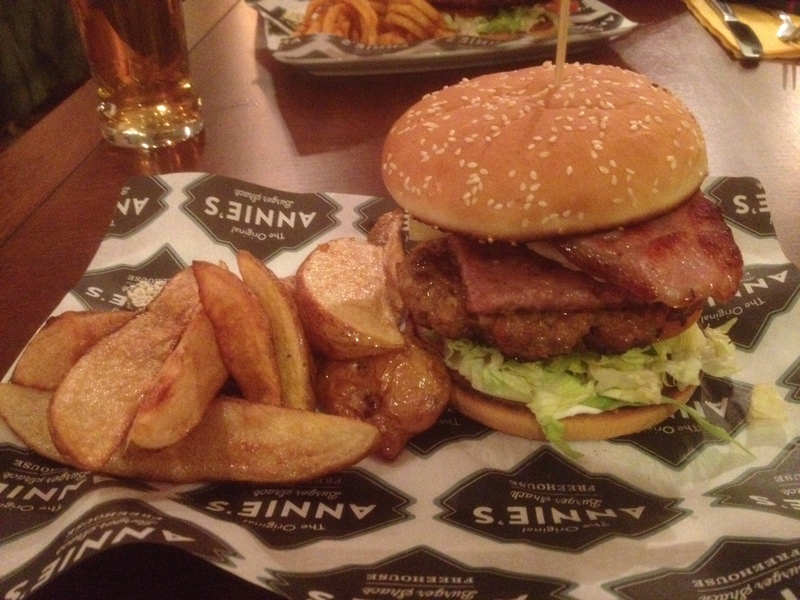 If anywhere deserved a new home to showcase it’s food to Nottingham then it is Annie’s Burger Shack. Hopefully now more of the people of Nottingham will take the opportunity to partake of these excellent burgers so that they can share the enjoyment that those of us in the know have had in recent years. 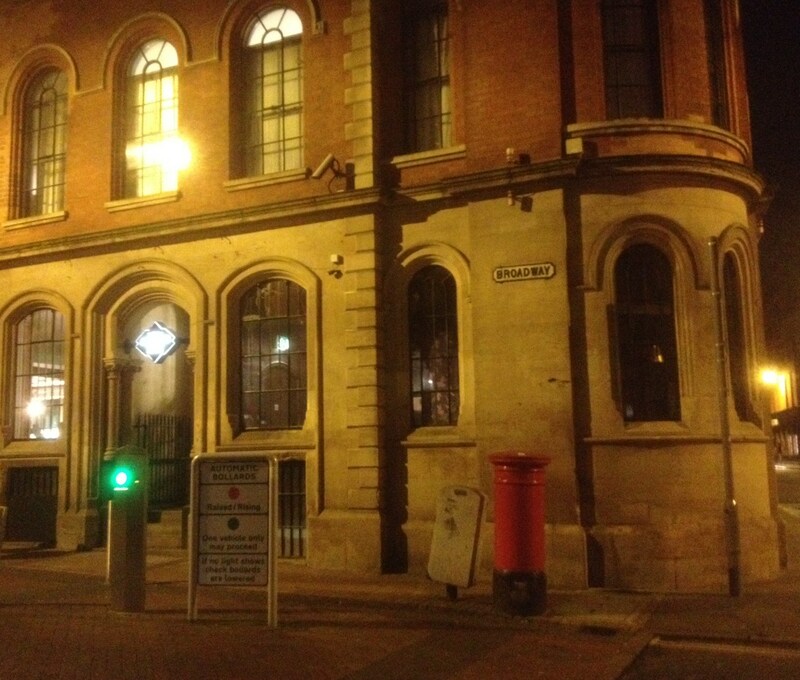 The new location for Annie’s Burger Shack is at 5 Broadway, Lace Market, Nottingham, NG1 1PR. You really have to check it out!